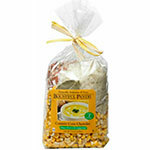 Naturally delicious and easy New England Clam Chowder mix. 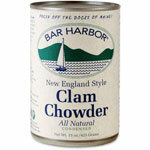 Just add chopped clams to make a fresh, delicious soup. Includes all-natural ingredients: potato cubes and flakes, celery, onions, chives, tarragon, parsley, chervil, thyme, bay leaf. Gluten free; no added salt; no MSG; no preservatives. Made in Massachusetts.